Anthony is a black belt in Judo and Chuan Fa Kempo Karate, a veteran wrestler, kickboxer and Sambo practitioner. He is a former combatives and boxing instructor at the U.S. Air Force Academy. Anthony won Silver at the American Sambo Association Freestyle Sambo Nationals and USA Judo Dallas International. Wrestling since the age of 12, Niko became an Oklahoma junior high school and high school state champion. During his collegiate career at Bacone College, Niko was the first All-American in the college’s history, a 3x First Team All-American wrestler and 2x national finalist. Team captain for four years, Niko was awarded “Most Valuable Wrestler,” “Wrestler of The Year,” and a “Champions of Character Award.” After completing his triple major bachelor’s degree, Niko became a Graduate Assistant Wrestling Coach at Missouri Valley College where he assisted in coaching several All-Americans and helped the Vikings finish in the top 4. Not long after finishing up his Masters in Business, he found himself training Muay Thai, boxing, Brazilian Jiu Jitsu and Catch Wrestling in preparation for an MMA career that culminated with a combined amateur and professional record of 9-0. 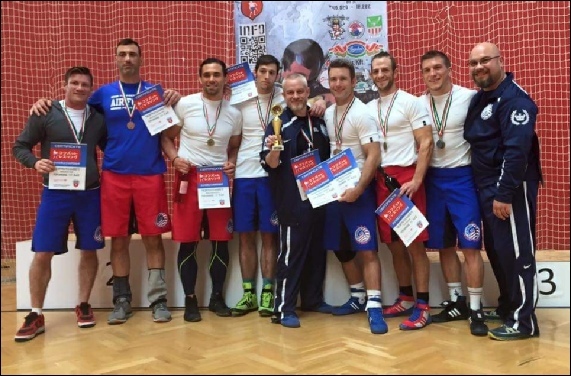 During the past 7 years, Niko has won numerous BJJ and submission grappling tournaments at the expert or black belt level. He is currently lead wrestling and MMA Coach at Championship MMA in Fort Smith, AR. Aaron is a decorated high school and collegiate wrestler, Black Belt in Judo and blue belt in BJJ who currently trains under GFTeam 2nd degree Black Belt & 2015 FICW World Combat Wrestling Silver Medalist Roli Delgado. A well rounded grappler, Aaron has won national titles in wrestling, as well as national and international titles in Judo including gold at the 2014 USA Judo Collegiate Open. Aaron is currently the Head Wrestling Coach at Little Rock Central High School. Mitchell has been training Brazilian Jiu Jitsu for nine yrs and competing for eight. He is currently a brown belt under GFTeam 2nd degree Black Belt & 2015 FICW World Combat Wrestling Silver Medalist Roli Delgado. He started training in Brazilian Jiu Jitsu in 2007 under Pedro Sauer Black Belt John Blunchi in West Monroe, Louisiana. Mitchell is a multiple time Arkansas Invitational, AGF, NAGA, and Louisiana Open Champion. Craig is a credentialed high school and college wrestler who currently trains out of Katamedo Dojo, UFC GYM St. Charles and Gracie Humaita. Throughout Craig's wrestling career he was a 3x High School State Qualifier, 4x Collegiate National Qualifier, 3x Collegiate All-American and 2x NCWA Finalist. He recently won his MMA debut via rear naked choke. Tim started competitively wrestling in 3rd grade and continued his career through his first year of college earning multiple conference, regional, sectional victories and an All-State title. In 2007 Tim became Assistant Wrestling Coach and later Head Coach (in 2009) at Itasca Community College. During his 4 years as Head Coach Tim coached 18 National Qualifiers, 5 All Americans, 1 National Finalist and led his teams to multiple top 10 finishes including a 4th place national finish. He was awarded “Coach of the Year” by the 2011 Minnesota College Athletic Conference and 2011 NJCAA Regional “Coach of the Year.” Tim currently trains Sambo and BJJ at American Top Team, where he also coaches wrestling. 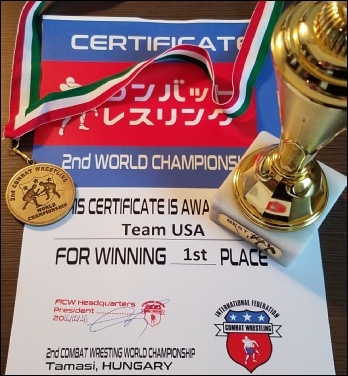 Tim is a North American Freestyle Sambo Championship Bronze Medalist, North American Catch Wrestling Open Champion, Saint Croix Grappling Games Champions and Next Level Challenge Champion. Stephan began training Judo & Japanese Jiu Jitsu in 1996 and BJJ in 1998, in Santa Cruz, California. He was awarded his BJJ black belt by Eduardo Rocha after winning numerous brown belt titles including 2010 IBJJF Houston International, 2009 California Classic, 2009 NAGA East Coast, 2010 Copa Pacifica, 2009 IBJJF American Nationals and the 2009 American Cup. Stephan is the owner of Bay Jiu-Jitsu in, a chain of 3 gyms in San Francisco. 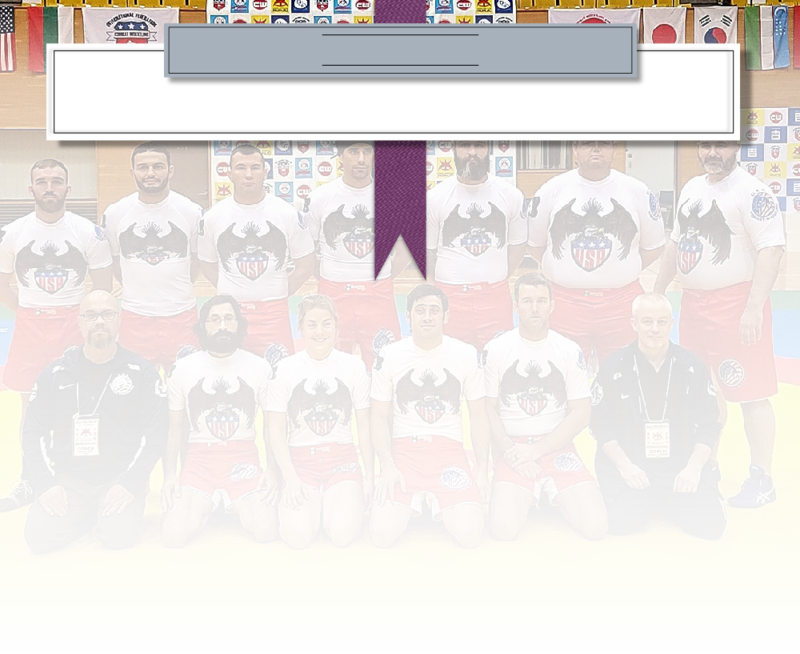 He won Silver at the 2016 USA Combat Wrestling National Championships & Team Trial in the men’s division, securing himself a spot on the Master’s World Team. In addition to martial arts, Stephan is a longtime gymnastics coach.